Everything about Entrée des Artistes Pigalle proprietors Fabien Lombardi and Edouard Vermynck's previous bar-à-manger on rue de Crussol evinced a stubborn, cloistered dedication to cool, which often superseded practical concerns. Each cocktail took up its own page on the finicky list. 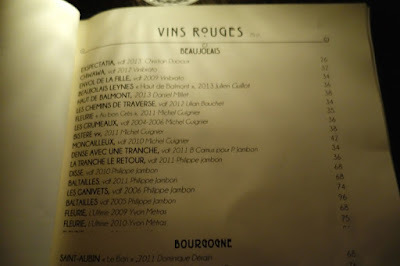 The wine selection was fearlessly obscure. Hospitality could feel a bit teenage. The music program consisted exclusively of canonical rap. But it took no more than a footstep beyond the unassuming threshold of Entrée des Artistes Pigalle to realise I'd underestimated Lombardi and Vermynck's ambitions. The dazzling space is gilt-edged, multi-tiered, Escher-like, with two floors, each with its own bar, served by a kitchen perched on what is, in essence, a stair landing. Gone is the air of bedroom hero-worship that characterised the old address. Lombardi and Vermynck have done what a succession of better-financed Paris bars (Silencio, Le Perchoir) have so far failed to do: create a mature, transportive ambience of Parisian cool, un-derivative of other cities. 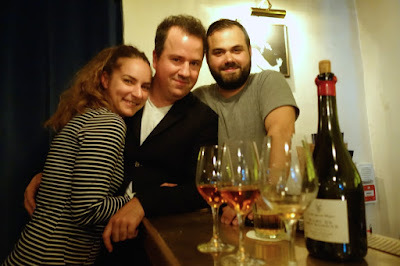 I can't think of another city on earth where such a polished, borderline nightclubby space would house a radical wine program like Vermynck's. 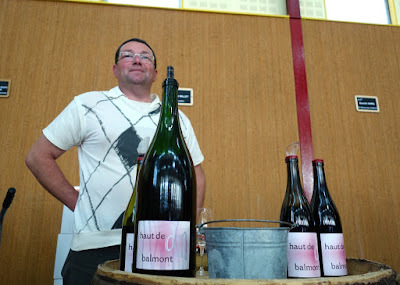 His selection remains unapologetically fringe-natural, but now the raw, untutored wines of Philippe Jambon's acolytes share layout space with maîtres like Pierre Overnoy. In any other city in the world, some investor would have insisted on a dumbed-down list with higher mark-ups. 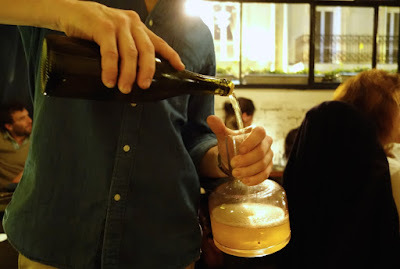 This speaks to the extent to which, in Paris, the ideology of natural wine has become intertwined with luxury. I have no idea whether the preening young professionals creeping north up rue des Martyrs truly enjoy, say, the pale, laceratingly volatile high-Beaujolais of Daniel Millet. 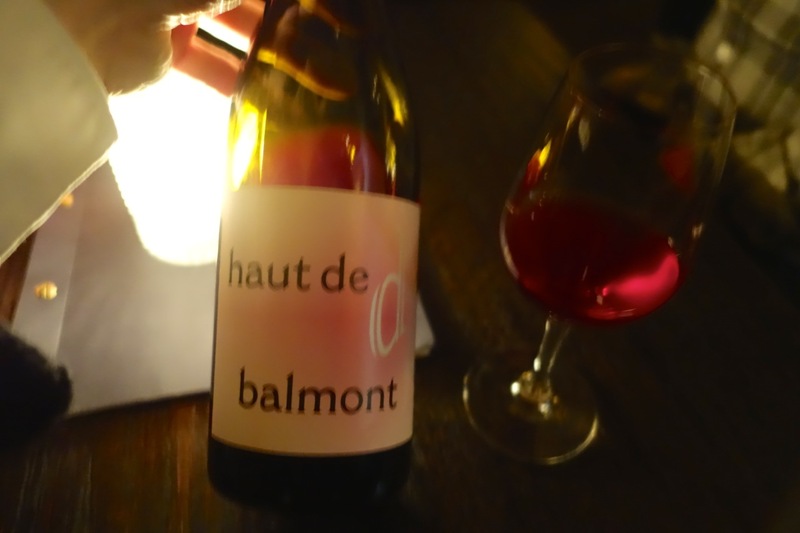 But internationally-validated destination restaurants like Le Chateaubriand, Septime, and Saturne - not to mention their counterparts in Copenhagen - have shown them they ought to keep an open mind about such wines. For my part, I'm happy to count Vermynck's list as among the few in Paris that reliably contains novelty and surprises. He is an inveterate early adopter. Daniel Millet. He's on his second vintage. Leynes, where his vines are, can produce wines that are the peer of any cru Beaujolais. So I'm hopeful for the future, even if for now the wines are rather volatile. Fabien Lombardi's cocktail list at the new address, conversely, appears more user friendly than at the old location. While waiting for my friends to show up on my second visit, I chased a poor decision - the "Bronsolino," a Gibson variation that strayed too far floral for my tastes - with a safe one, an actual Gibson. The latter was mixed to perfection. I was relieved to note that the cocktail list retained its titular hip-hop homages, and that cocktails were no longer listed one-per-page, an arrangement that had needlessly slowed the ordering process at the former location. On my second visit, I hazarded to inquire as to whether there had been a chef change. There hasn't. The kitchen at Entrée des Artistes Pigalle is still helmed by Fred Vilgicquel. 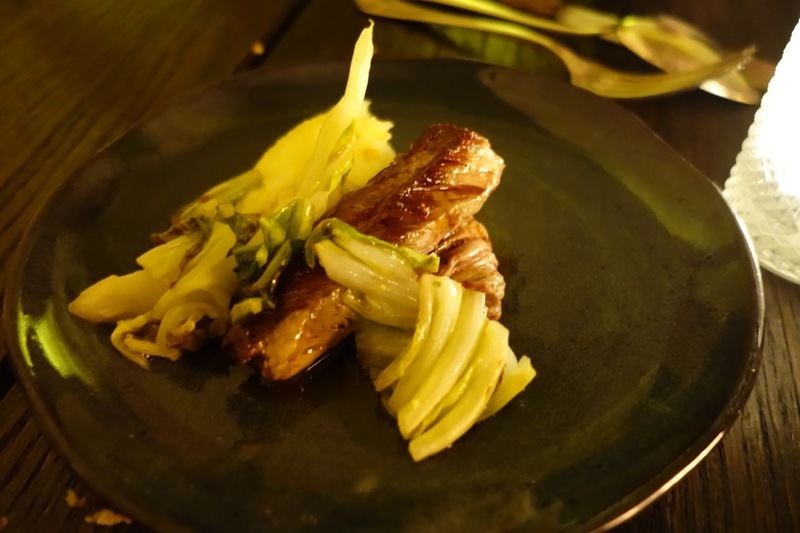 The menu, as in the latter years of the old address, is still organised somewhat like the early days of Au Passage, with an emphasis on small plates, supplemented by one or two dishes that, for models or jailed dissidents, could pass for main courses. I can't shake the feeling that the cuisine is just not yet as sharp as it was at the last location, however. This could be because the kitchen is serving two dining rooms instead of one. It could also just be the adjustment of a chef to an unfamiliar kitchen. 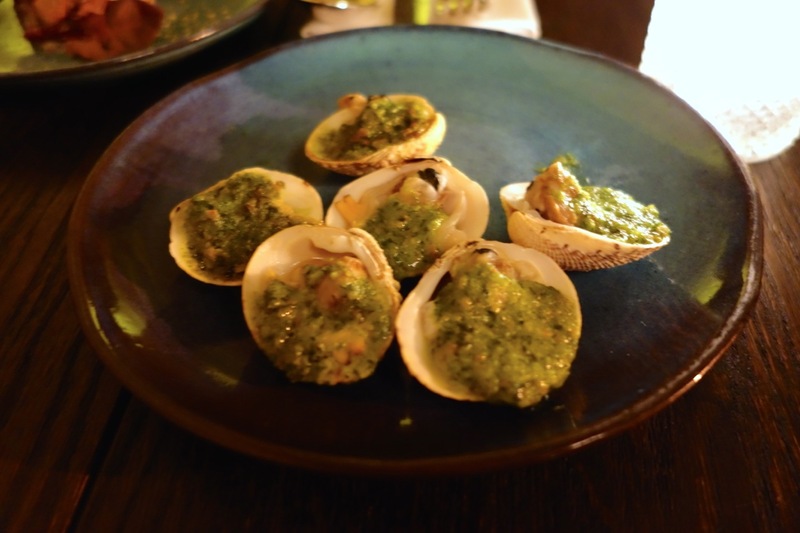 My second visit was an improvement over the first, but most items still lacked acidity. Some, like some tuna-stuffed peppers, felt too skimpy for table service. 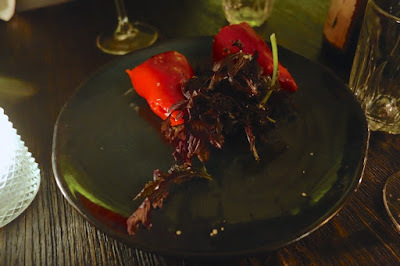 It's interesting how a dish that works fine in the homey atmosphere of, say, Septime Cave, scans a bit mean in the chic-er context of Entrée des Artistes Pigalle. More substantial dishes seemed more appropriate to the new digs, and were more successful overall. 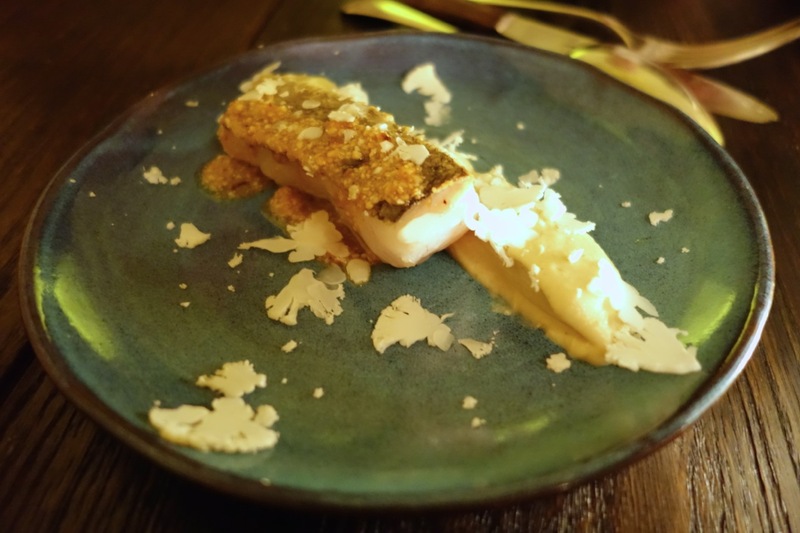 A filet of yellow place with slivers of crunchy cauliflower matched its textural play with nuanced, wintry flavour. A veal hangar steak we ordered, in a fit of indulgence, for dessert, disappeared faster than anything that came before it. 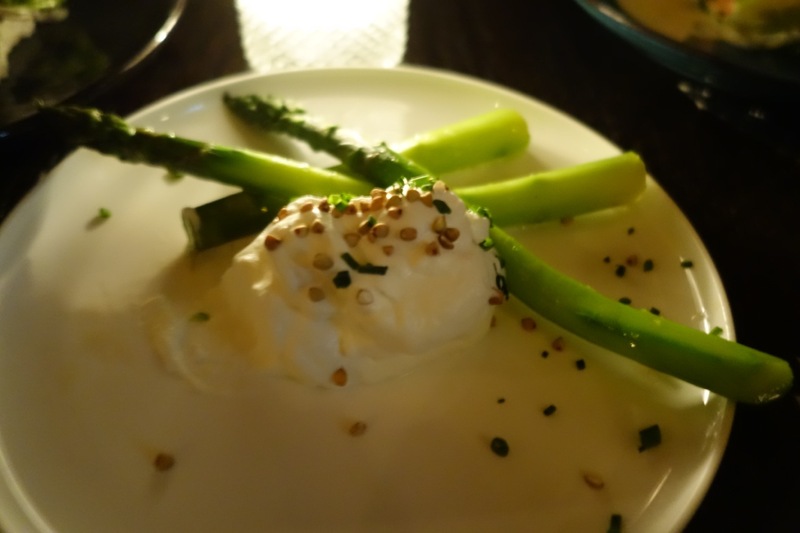 It's important to eat voluminously on a visit to Entrée des Artistes Pigalle, because the temptation is great, at the end of a meal, to stay and soak in the splendid vibe over a cocktail or five. The atmosphere ranks alongside that of the soon-to-be-missed Bones, or the early days of Le Mary Celeste. 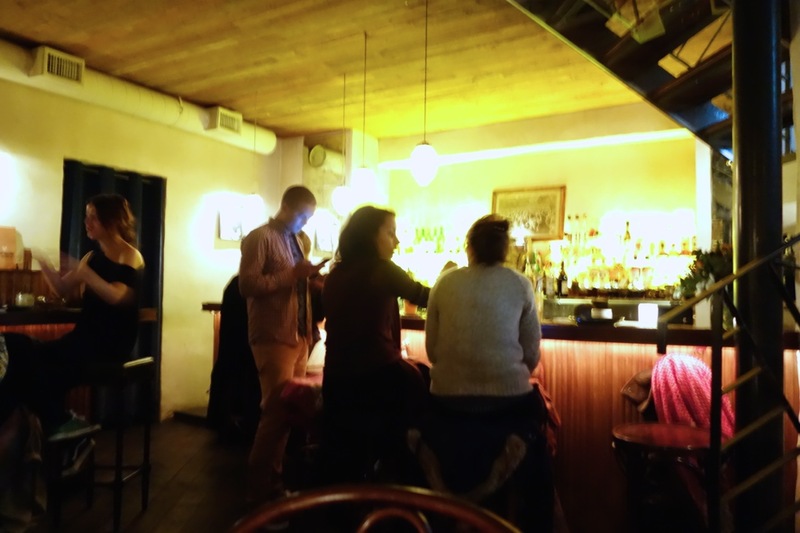 Tucked near the downstair's bar of Entrée des Artistes is a DJ booth with its own bar-stools, a pleasant design feature that, while discreet, makes clear that the establishment is something other than a restaurant. I can happily overlook the occasional lapse in its functions as a restaurant because it functions so well as a bar. It is, for example, the only bar I know of where I can enjoy a few glasses of Julien Guillot's magnificent 2001 Marc de Bourgogne after a meal in the company of fellow hip-hop afficionados. Paris has a bright future if its citizens continue to support such evolved, iconoclastic definitions of luxury. * In Bronson's case, his florid misogyny and homophobia sounded, in the context of his rougher mixtape work, like a self-conscious stylistic tic. It was identifiably the sound of some broke idiot dreaming he was Ghostface. Lately, coming from a successful rapper with higher production budgets, the same idiocy is less forgivable. Context is everything. 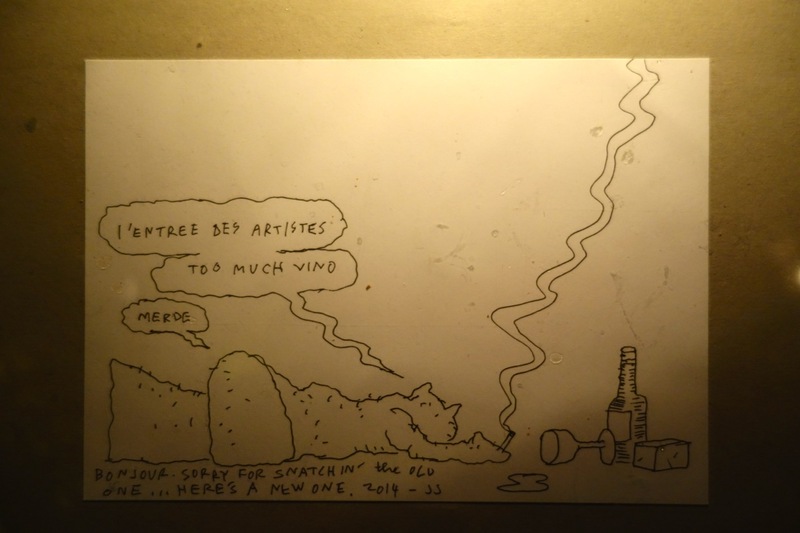 My friend Jeff Jank's affectionate thank-you note to the Entrée des Artistes gang. The previous Entrée des Artistes on rue Crussol. 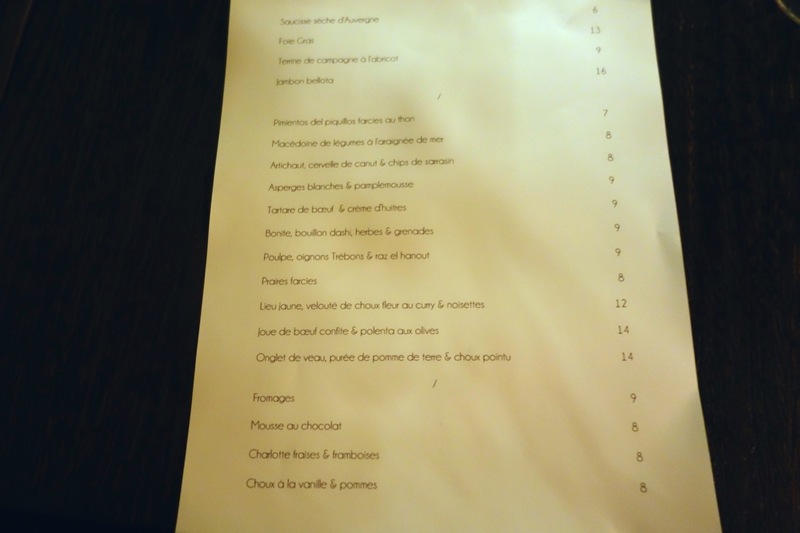 Le Fooding's blurb on Entrée des Artistes Pigalle is, as usual, a breathless avalanche of nouns. 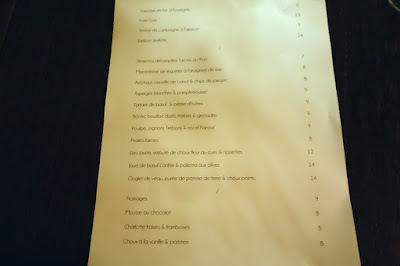 A plainspoken and informative run-down of the cocktail program at Entrée des Artistes Pigalle at 52 Martinis. 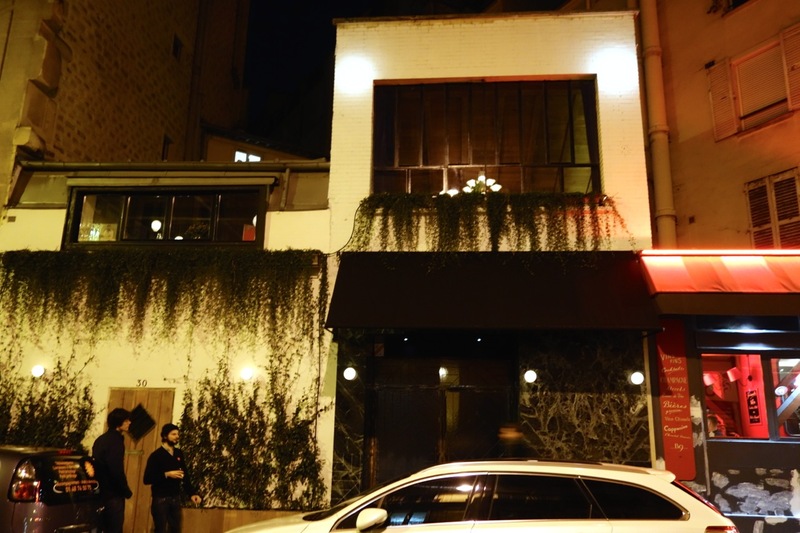 Grazia's piece on Entrée des Artistes Pigalle is an example of how fashion journalists do disservice to their favourite restaurants by writing about them. If I didn't know better, my takeaway from this piece would be: idiots like the place, so I'd better stay away. Love your description - Escher -like - it brings to mind other places with the tiered approach.